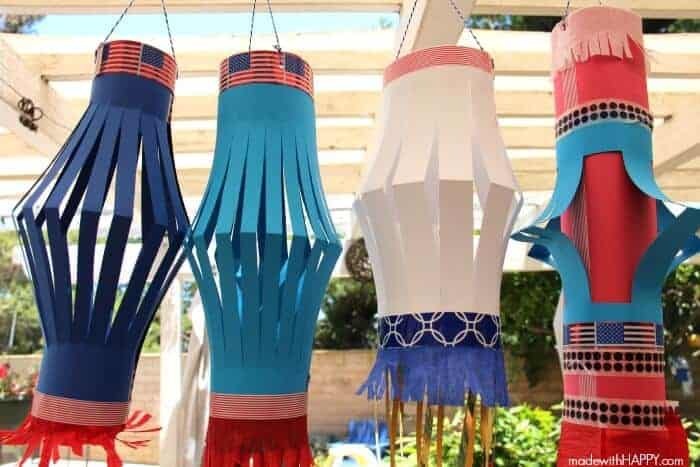 Its no secret I have a love affair with paper and parties and so I though I’d share with you the fun, festive way to make these Red, White and Blue Paper Lanterns! 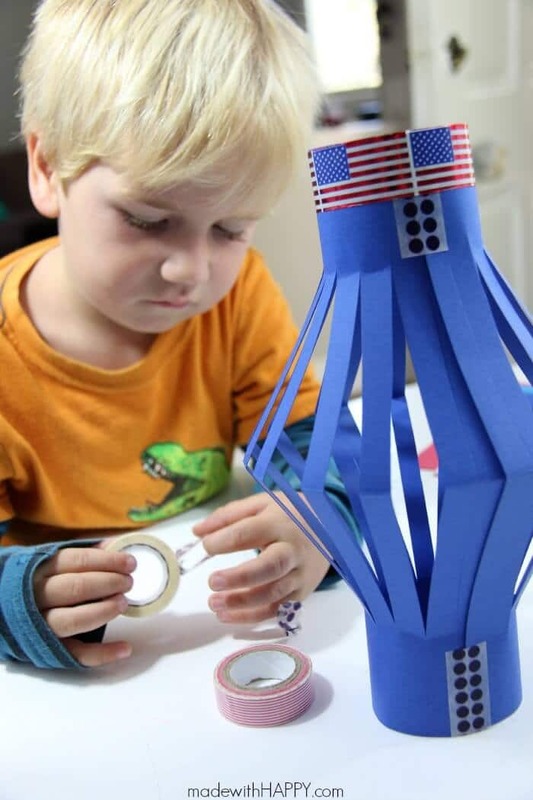 You can find all the supplies at the dollar store and are super fun for the kids to make. Here’s how you do it. You start out by folding a piece of paper in half. 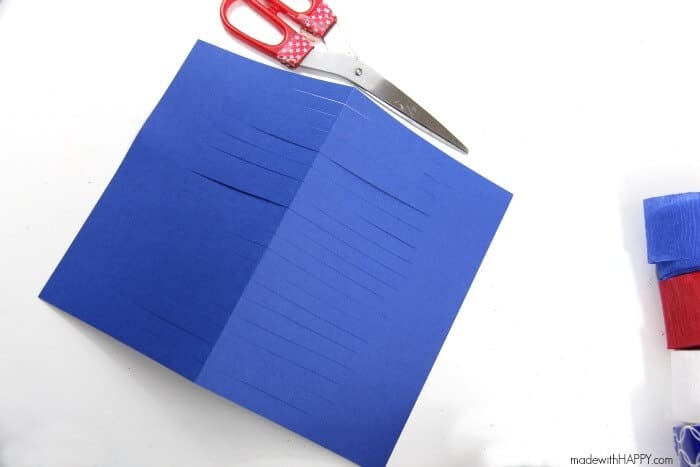 Then using your scissors, make cuts to the paper at the folded seam. Unfold and roll ends into a tube shape. 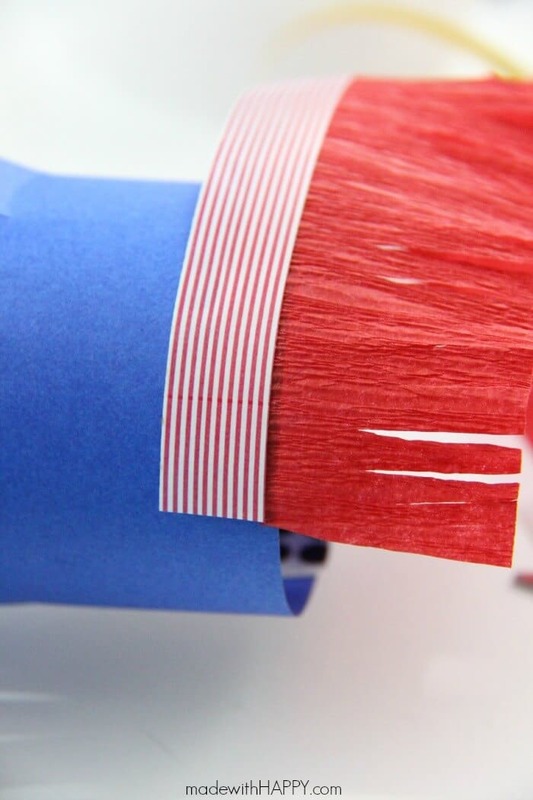 Using tape, tape your ends together. 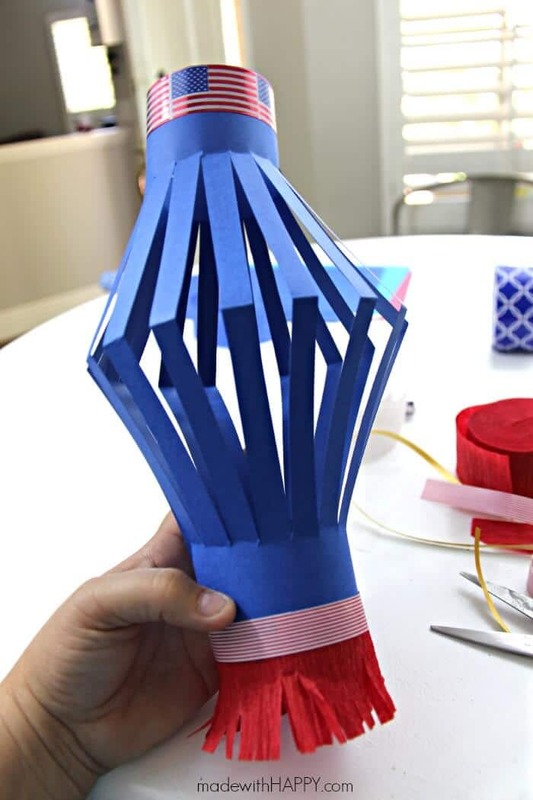 As long as the kids are old enough to use scissors, then they should be able to make these. 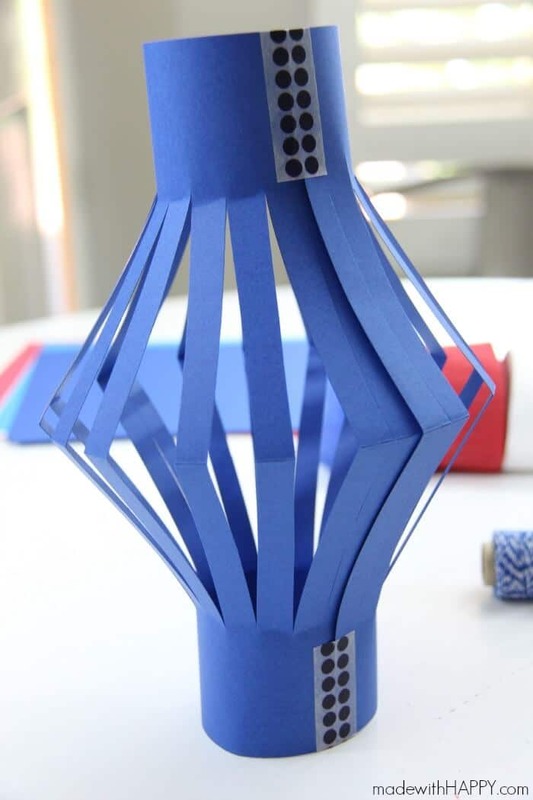 For those that are too young, this is a good time to let them at the lanterns to decorate with tape or drawings. 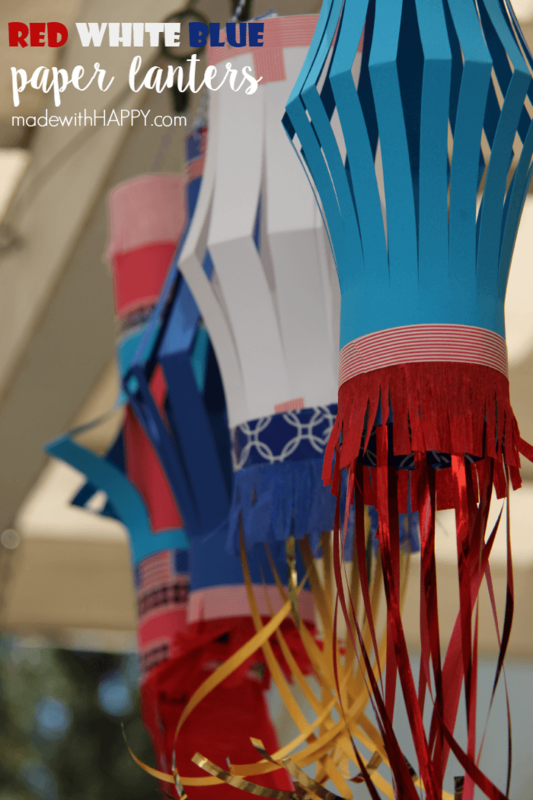 We fringed a piece of crepe paper and attached it to the end of the lantern along with ribbon. 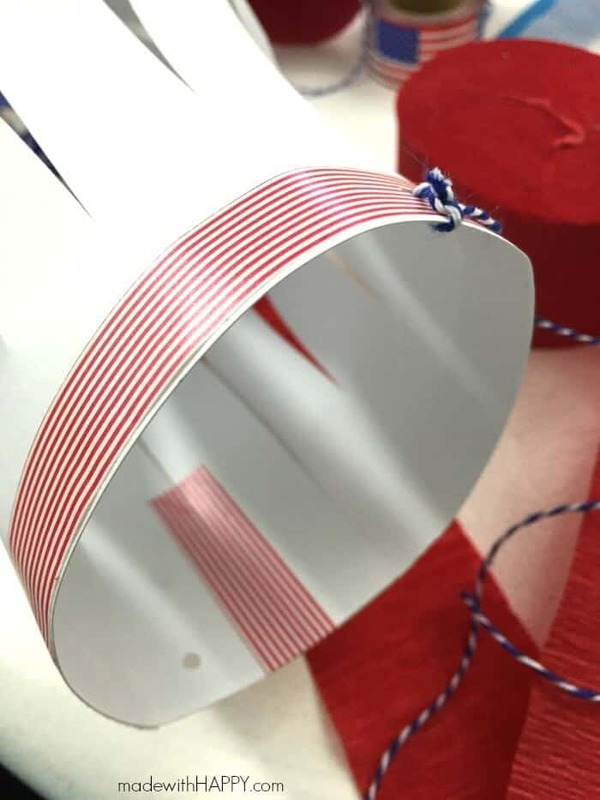 Lastly, using the scissors or a hole punch, make a hole at the top of your lanterns to hang with twine or ribbon. 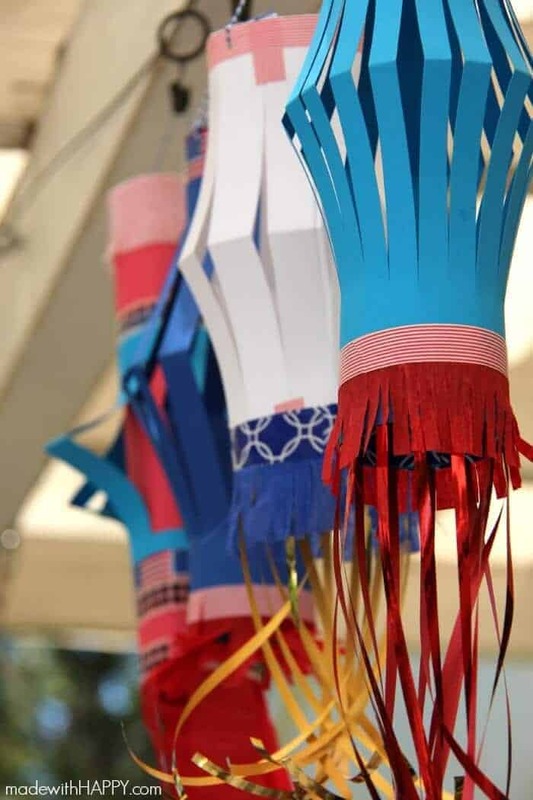 From here, you can hang your lanterns on a longer piece of ribbon across the patio or room. 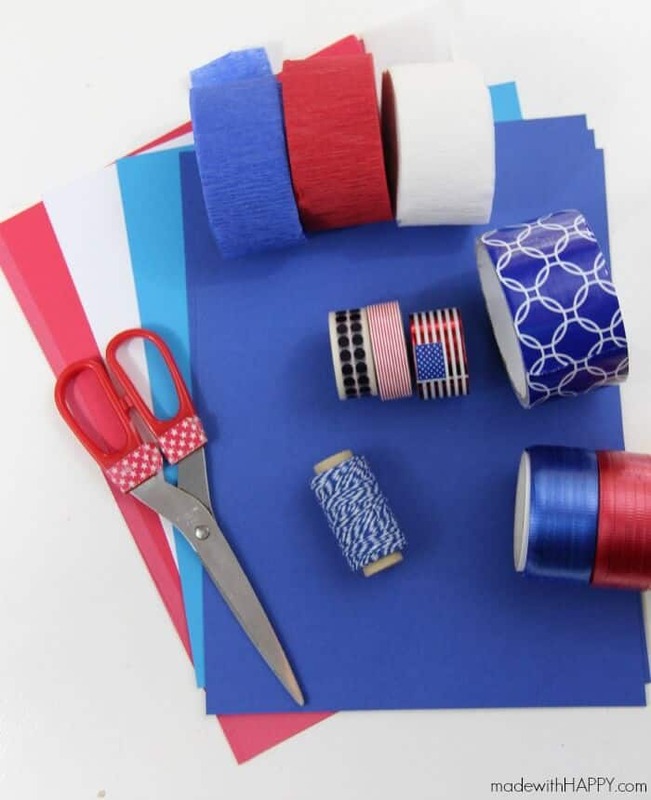 Happy Crafting and HAPPY 4th of JULY! Come check the rest of these Patriotic Awesomeness!!! 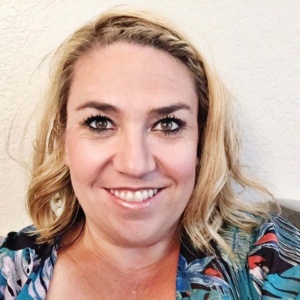 If that’s not enough, you can find even more inspiration here: Follow Alli Ward | Made with HAPPY’s board MWH :: Red, White and Blue on Pinterest. So fun! My kids would love to make these! Thanks for joining the Small victories Sunday linkup. Please join again. Pinned to the group board. These are so fun and festive! 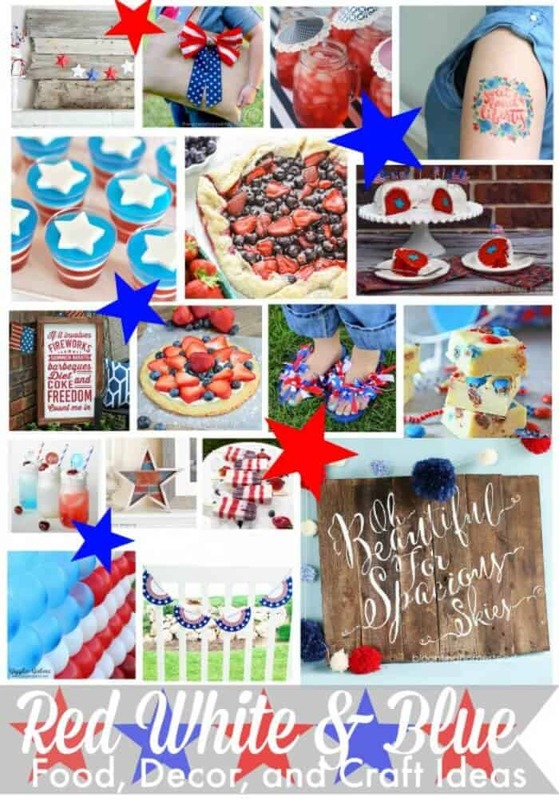 Pinning – I’d love to try them for our 4th of July party! Thanks for sharing them with us at #FoodieFriDIY!